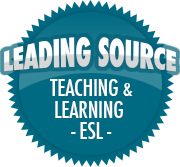 Life | So, You Think You Can Teach ESL? Adversity is a Good Thing for Kids to Experience! I recently read an article about a new type of parenting, well maybe not that new, but perhaps a different form of it. We all know about “helicopter parents” – the ones who do everything for their child(ren). While it’s common for parents to be concerned that their child(ren) will be alright in school (or life, for that matter), it’s possible to smother them and actually inhibit their social and emotional development. You can read more about it here, here, and here. The article I came across is from We Are Teachers, and it discusses what they call, “Lawnmower Parents”. Instead of having the parents do everything for their child(ren), making sure they have everything they need, these new types of parents want to make sure their child(ren) have little to no challenges or adversity in life. What are some of the effects of this parenting style? She becomes poorly equipped to deal with routine growing and learning experiences. This includes everything from asking for directions and dealing with an annoying roommate to much broader skills like communicating with superiors, negotiating for something she wants and coping with disappointment. She doesn’t develop a sense of personal motivation or drive, since she only knows how to follow the path that the Lawnmower Parent has already prepared. She can’t make a decision, big or small, without the guidance of others. She constantly receives the message that she isn’t good enough to do this herself. In essence, the Lawnmower Parent is repeatedly demonstrating to the child that she cannot be trusted to accomplish things on her own. If we eliminate all struggle in children’s younger years, they will not arrive at adulthood magically equipped to deal with failure. Which I wholly agree with, personally. How do you avoid becoming a lawnmower parent? High school kids: while there is still room for parental involvement at this age, insist that your child attempt all communication on her own first. If she needs to miss a quiz and do a make-up, have her make the arrangements with the teacher, and only intervene AFTER she has made the first attempt on her own. If she has a conflict between track practice and music lessons, have her discuss the possibilities with the involved groups, then have her make the decision and deal with the potential consequences. Kids of all ages: TRUST your kid to do well, and tell her repeatedly that you believe that she can make good decisions on her own. Give her room to make mistakes, even major ones sometimes, and learn from them together. I haven’t had to deal with these types of parents (yet), but I’m sure I will someday. I’ve had plenty of the “helicopter parents” though, and they’re NOT fun. But when/if I do deal with them, I’ll do my best to help them understand that people only grow and get better by experiencing new things, challenging things, and sometimes even hurtful things (because life isn’t always rainbows and sunshine). If we want our children to be successful, healthy adults, we must teach them how to process through their own challenges, respond to adversity, and advocate for themselves.